Under Owen Group’s existing As-Needed Architectural Design and/or Design Review Services with the County of Los Angeles Department of Public Works (County), Owen Group was selected to provide architectural design; structural, mechanical, electrical, and plumbing engineering and design; and ADA accessibility/compliance services, as well as fire and life safety systems and construction administration for this exciting project. The County has authorized a series of tenant improvements to the existing Diamond Bar Public Library for conversion into the new Fire Department Division 8 Headquarters. 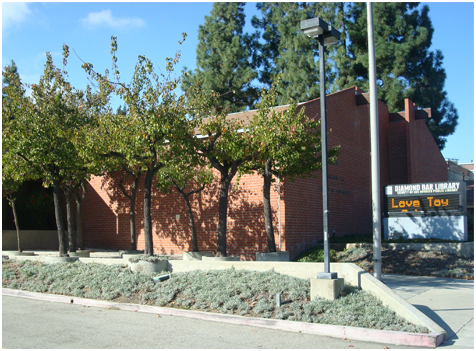 The existing single story Diamond Bar Public Library is approximately 9,935 square feet with offices, large open spaces for books, storage room, kitchen, and adjacent parking lot with 39 stalls (2 ADA and 37 standards). Our initial step in the process was to perform a facility condition assessment of the existing facility, which was comprised of field observations to verify the facility’s existing system’s conditions, measurements with photographs, and confirmation of the existing record drawings. Our professional team of architects and MEP and structural engineers prepared a comprehensive facility condition assessment report describing the building’s system’s condition, including characteristics, such as size, capacity, equipment, etc. ADA accessibility was also address for both the building and parking areas. Structural engineers focused on the building’s structural framing and foundation system, whereas our MEP engineers performed assessments of all MEP systems, including HVAC, domestic hot/cold piping, hot water heater, lighting, wiring/panel boards, switchgear, transformers, emergency generator, and more. The next phases include performing feasibility studies and program development. Owen Group reviewed drawings and existing records, Los Angeles County space standards, provided space planning and block diagrams, attended site and other meetings with the County and Fire Department personnel, and responded to the comments and questions. Owen Group implemented departmental office space standards to the current standards and specifications, and provided entry lobby, reception areas, offices, conference rooms, restrooms, drinking fountains, kitchen, community/training space, corridors, exit doors and storage room design layouts. The Owen Team will also design one scheme for the County’s review and approval, provide a conceptual floor plan for the approved scheme, and provide a program cost estimate. The project is currently underway and nearing completion.